The UK arm of Korean vendor Samsung has struck a deal with UK airline Virgin Atlantic that will see its new Galaxy Tab tablet device showcased in Virgin’s Clubhouse lounge at Heathrow Airport. Virgin passengers in the lounge will have access to the tablet devices, which will be preloaded with films, music and games, as well as the lounge food and drink menu. 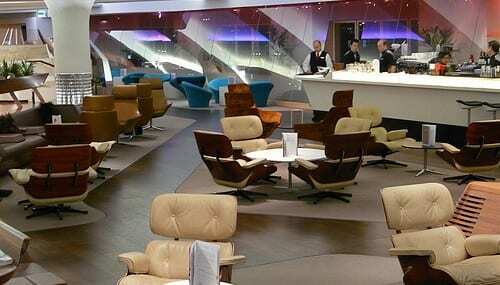 It’s a neat marketing move from Samsung, given the demographic that Virgin’s Clubhouse attracts; the lounge is open to Upper Class passengers and Gold Card holders only. Many of these people are corporate travellers, and the tablet devices will enable them to make calls and check emails as well as access the internet, Samsung said. The Galaxy Tab was unveiled in September. with a seven-inch display, the device is somewhat smaller than the Apple iPad with which it is designed to compete, although it offers full cellular connectivity from GSM through to HSPA and supports standard mobile functionality like cellular voice calls, text and picture messaging.Support for Adobe’s Flash Player 10.1 represents another key differentiation from Apple’s iPad.